Bearing Checking - CSB Sliding Bearings India Pvt. 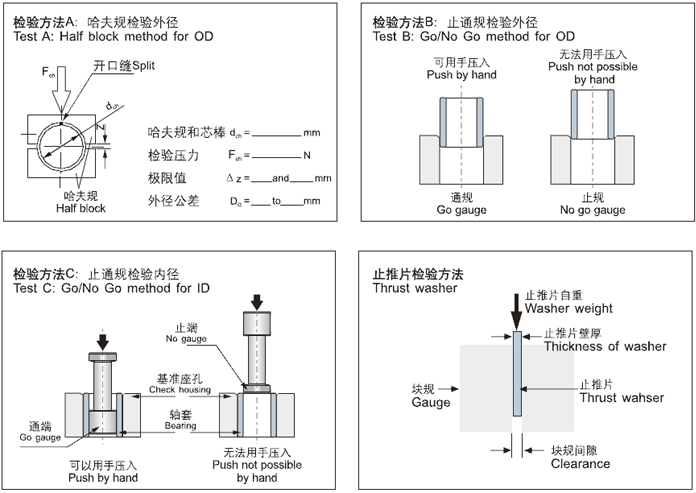 Ltd.
Wall thickness Measurement and Test C can not be used at the same time. Machined Bearings can be measured using pneumatic gauge, lever micrometer, 3-points micrometer and MMC according to the different requirement of tolerance grades.